We have been messing with the microbiome on the planet for at least the last hundred years, with antibiotics, antiseptics, pesticides, fungicides and an attitude of annihilation. Now, relatively unknown species, once no threat, are rising as a major threat (drug resistant) because what used to hold them in check - other species of microbes - have been wiped out with powerful pesticides, fungicides & antibacterial products. In the case of the drug resistant fungus, Candida aureus, talked about in this New York Times article, it is believed that fungicides used in agriculture have led to its explosion to become a major threat in hospitals world wide. Although the article doesn’t mention Australia, I did find that it is here, and is a notifiable disease of concern. It has been detected in Western Australia. It is certainly being taken seriously. At this stage, these opportunistic microbes, such as the recent Candida aureus, are usually only a threat to the weak and vulnerable..newborns, the elderly, and those with weakened immune systems, many of whom can be found in hospitals. As a Naturopath, I certainly encourage people to take this seriously and take the drugs the doctors prescribe, if infected and detected. From a Naturopathic perspective... keeping the immune system healthy is the best form of prevention, and also treatment if conventional drugs fail, or alongside them. This can be done with a healthy diet, low sugar, lots of fresh fruits and vegetables, plenty of sunshine for Vitamin D (without burning), and managing stress levels to keep them low as much as possible. Then we can make sure our zinc levels are adequate, that we get plenty of Vitamin C, check our Vitamin D status, and take herbs such as Elderberry, Echinacea, Cats Claw and Medicinal Mushrooms. Essential oils such as tea tree also have their place but need to be used with care as they are toxic in quite small amounts, especially for children and babies. They are however complex molecules to which microbes can find it difficult to build resistance. This is the real world we are living in nowadays. I feel it's worth thinking about and acting preventatively and proactively. 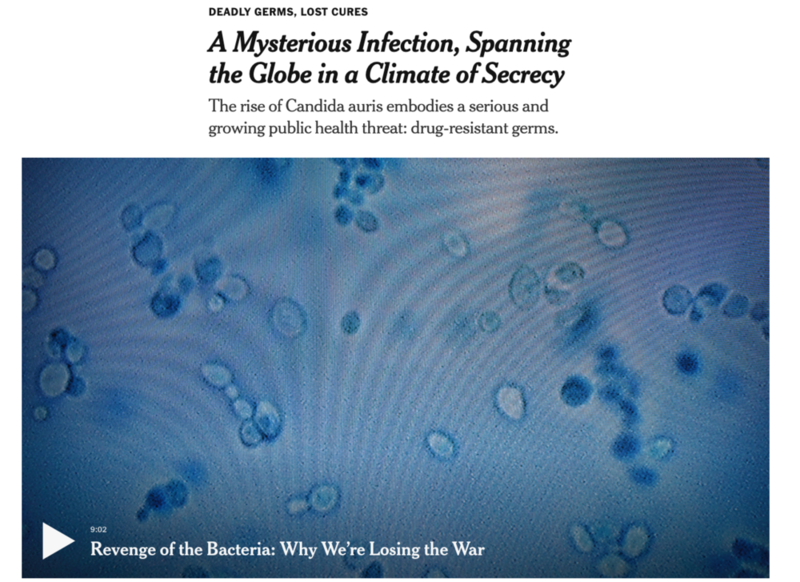 The medical world is struggling to deal with the uprise of resistant microbes. Perhaps this will be an opportunity for us to work together, to acknowledge that the health of the immune system can be influenced by diet, lifestyle, and herbal and nutritional supplements….and we can step aside when they need to pull out the big guns of powerful new medicines, when needed. This is a traditional, powerful healing vegetable and herb broth with added superfoods than can be used during a cleanse or while fasting, or to rebuild and nourish during or after illness, surgery or childbirth. It is warming, comforting and tasty, and completely plant based. It is full of organic minerals including a lot of potassium, it is alkalising, nourishes the immune system, flushes the kidneys, helps regulate blood pressure, and supports thyroid and adrenals. Miso Soup with Shitake mushrooms is a simple, delicious and wholesome winter soup with the benefits of iodine from seaweed, immune boosting factors from shitake, and protein and phytooestrogens from miso and tofu. This is Nature's Antibiotic, Antifungal, Antiviral and Antiparasitical medicine.